Watched by several hundred million viewers in more than 225 countries, The 89th Academy Awards should not be a space for design faux pas. Whether you sat through the roughly 3 hour-long ceremony or you simply caught the highlights, you’ll be familiar with the Best Picture announcement blunder. If you haven’t had access to the internet until now, here’s what happened: presenters Faye Dunaway and Warren Beatty were handed the wrong envelope and incorrectly announced La La Land as Best Picture in place of Moonlight. Apart from being a total embarrassment for La La Land, PricewaterhouseCoopers, the presenters and the Academy, a somewhat unified cringe was felt by designers across the globe. Upon closer inspection of the card, it’s easy to see why Warren Beatty hesitated to read out the winner. The card features a rather large Oscars logo, the title of the film, and the directors’, writers’, and producers’ names. It’s only at the bottom of the card in very small text that the viewer can see the category. This placement on the card shows that the User Experience (UX) of the artwork has not been considered. One can see from years past that presenters tend not to remove the card from the envelope entirely, which leaves the category concealed. The functional utility of the card was sacrificed for something that just looks nice. 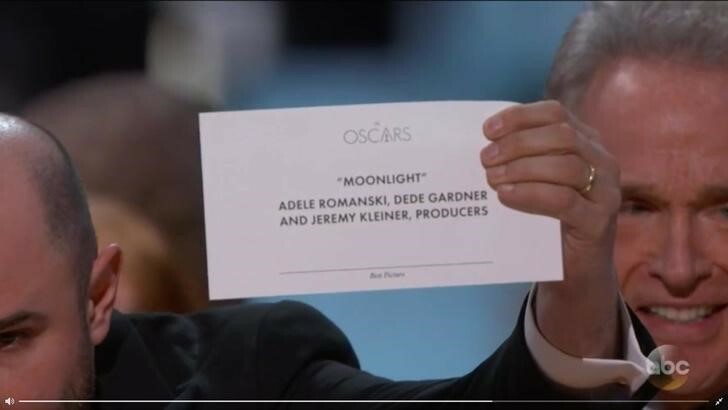 While the blame predominately lies with PricewaterhouseCoopers, the accounting firm who have been counting the Oscars votes and establishing who won since 1934, when they handed Beatty and Dunaway the incorrect envelope, the design of the card itself definitely leaves room for improvement. While the presenters shouldn’t have to make sure that it’s the correct category, it doesn’t hurt to make the design, or the user interface (UI), of the card as clear as possible so that the person reading it can remedy a potentially embarrassing situation if the need arises. Hierarchy is an extremely important element in design and when used correctly, becomes an indispensible cog in what should be a well-oiled machine. In the case of this year’s Academy Awards ceremony, a simple change in layout and design taking into account the User Experience - such as swapping the Oscars logo and the category around, and making the category text bigger and bolder—would have made it easier for Beatty and Dunaway to immediately recognise the error. 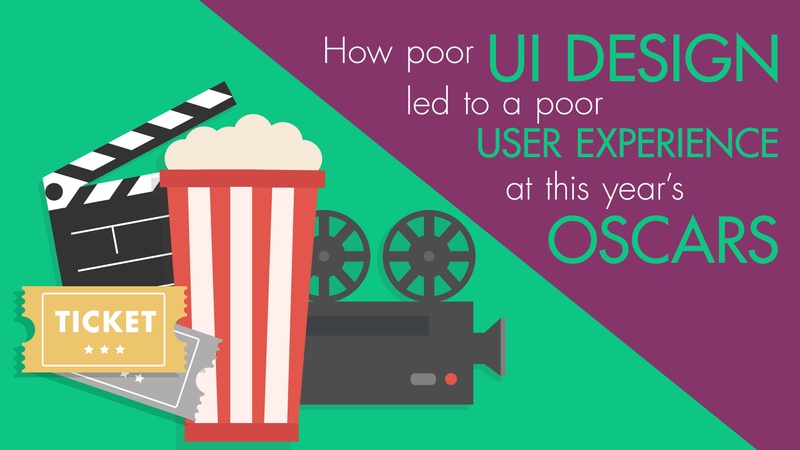 For further reading explaining the difference between UX and UI, read this article.